The Burlington School of English is located in an affluent residential area of Fulham in south-west London. The Burlington School of English is located in an affluent residential area of Fulham in south-west London. It benefits from being in the fashionable neighbourhood Borough of Hammersmith & Fulham, which has beautiful parks and gardens, delightful local shops and restaurants and easy access to all the wonders that London has to offer. With a wide choice of homestay accommodation on offer, the school has established itself as an excellent choice where high standards and location cannot be compromised. We also offer residential accommodation, which is conveniently located within the school premises. 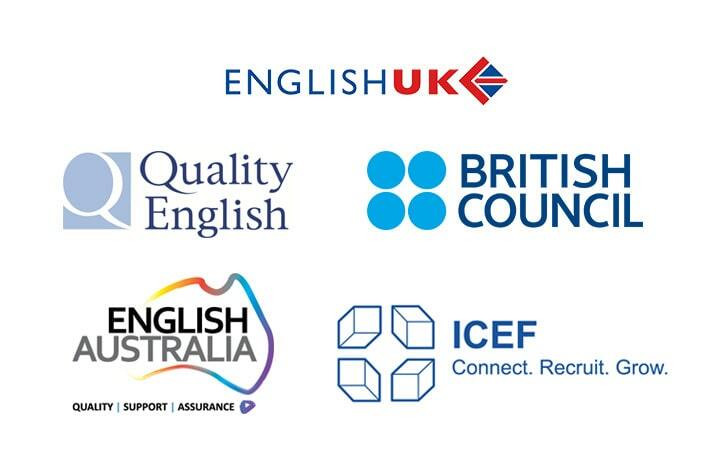 The school is accredited by The British Council, as well as ISI, and is a member of English UK. It has been awarded Highly Trusted Sponsor status and is also a registered Trinity Exam Centre. Learning English with us means more than just going to classes. We want you to benefit as much as possible from your time in England. We will help you to explore the sights, get to know the culture and history of the UK, to enjoy all the great leisure facilities that are available and to practise your English outside the classroom. The Burlington School provides a programme of leisure and cultural activities throughout the year, organised by our Leisure Programme coordinator or specialist tour agencies. There are also free trips organised by the school, and optional trips which are low cost, but they are all designed to help you enjoy your time here and to practise your English in a fun and interesting way. Our activities encourage students to socialise while practising their English. Various other events provide unique opportunities for students to learn about other cultures. We organise sports activities, trips to the theatre and trips to some other popular UK destinations. The leisure programme changes monthly to cater for students’ interests and requirements. The Burlington School prides itself on offering a student-centred tutorial programme which has been created to help students with both their academic and personal lives. This programme includes both academic and personal advice sessions. Teacher Guided Tutorials: During testing weeks, teachers meet with each student to discuss the areas in which the students are excelling or struggling. The teacher then gives the students tips and tricks to help them succeed in improving their English. Classrooms and other Facilities: Classrooms are pleasant and appropriately equipped. The Burlington School also has: video facilities, computers with broadband internet access and email for students’ use, a study area and a lending facility where students may borrow books and CDs. Computer and Wi-Fi Facilties: The Burlington School is equipped with a small computer area where students have access to broadband internet. In addition to this, the school is also fitted with free wi-fi internet for those students who wish to use their personal computers or mobile devices.